Bethan is a skilled and experienced music workshop facilitator with the ability to enthuse and empower others through music, while creating a safe and inclusive learning space. Bethan is passionate about the value of the arts in the community and enjoys working with children and adults of all ages and abilities. Bethan holds the City and Guilds PTLLS certificate to teach adults in the lifelong learning sector and a Certificate in Tutor Training from Community Music Wales. Bethan also has a background in acting and a BA:(hons) in Theatre Studies from the Royal Welsh College of Music and Drama. Facilitating and conducting a bilingual choir. Creating music for a film project with pupils at Ysgol Gynradd Gymraeg Llangynwyd. Leading a choir and songwriting project with adults with disabilities for DRIVE. Creating a new piece of music, incorporating harps with residents at a local care home. Folk-pop workshops in local comprehensive schools in Rhondda Cynon Taf. 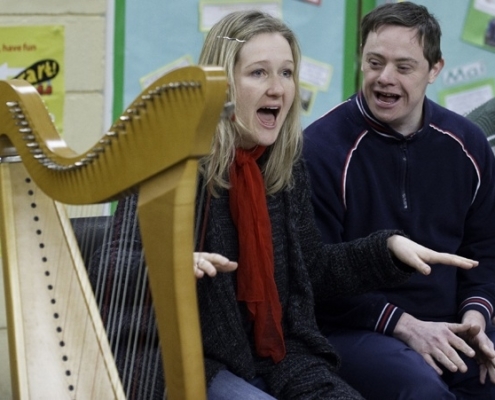 Setting up and facilitating her own Harmony Singing workshops for adults of all abilities. Traditional Welsh song tutor for Trac at their annual residential course BEAM. 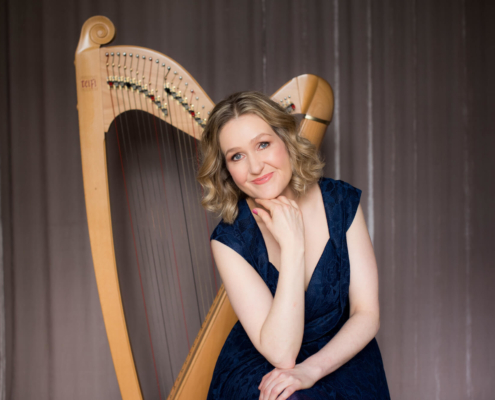 Harp workshops for experienced players. 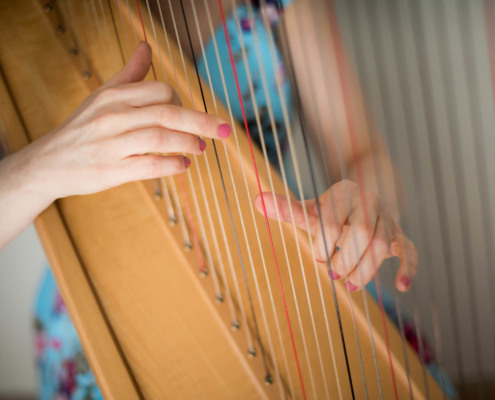 Taster harp workshops for adults and children in the community at events and festivals. 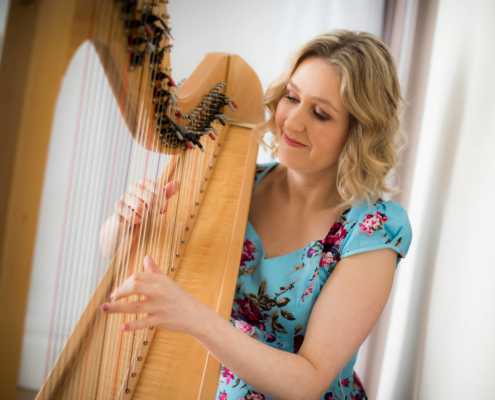 Harp and Song workshops in schools in South Wales. Sing along sessions at Care Homes. Drama and music facilitator for Ffynnon Theatre Company working with adults with disabilities. Thoroughly enjoyed, a most rewarding experience. I have learnt that I am able to sing. I have learnt not to worry about how I sound. Yes, I have enjoyed the workshops. I enjoyed the community spirit that singing brings. The workshops have been friendly, informative and boosted my confidence.